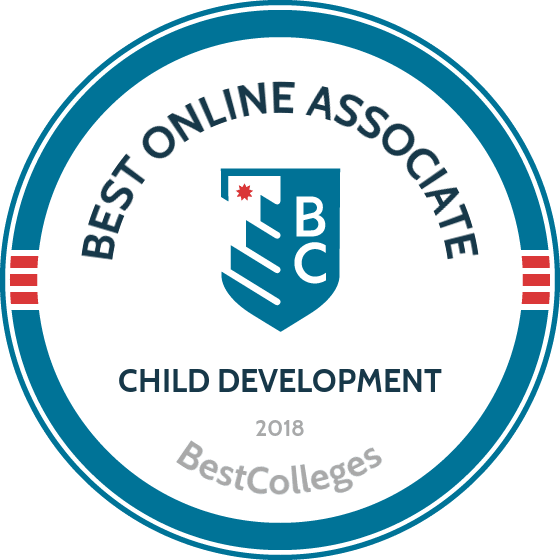 What Are The Best Online Associate in Child Development Programs? What Else can I Expect from an Online Associate in Child Development Program? What Can I Do With an Associate in Child Development Degree? Understanding the complexities of cognitive, social, physical, and emotional growth is critical to helping children succeed. An online associate in child development is useful for individuals interested in pursuing work within the field of teaching, psychology, and administration. According to the Bureau of Labor Statistics (BLS), the number of preschool teacher jobs is projected to grow by 7% between 2014 and 2024; this is about as fast as the national average over that period. Additionally, jobs for kindergarten and elementary school teachers are expected to grow by about 6%, while jobs for school counselor positions are expected to grow by 8%. Hennepin Tech operates two campuses outside of Minneapolis, Minnesota, and offers a 60-credit online associate in child development program. Graduates are prepared to pursue careers in childcare, in-home, and special needs program settings. Hennepin Tech allows students to earn their degree entirely online, on-campus, and in a blended format. Online courses are delivered asynchronously through Desire2Learn, allowing students to complete coursework at their own pace. The curriculum includes coursework on foundational childcare areas, such as child growth and development, health, safety, and nutrition, and preschool development and learning. This program also includes two practicum experiences, each of which requires 120 hours of child and student interaction. Distance learners must arrange these experience in their local communities with approval from Hennepin Tech. Students can earn their degree in just two years of full-time study. Wallace State recently began offering its associate in applied science in child development program online. This program has quickly become one of the best online associate in child development programs in the country and can be completed in just five semesters of full-time study. Online courses are delivered asynchronously, allowing students to complete coursework at their own pace. Graduates are prepared to pursue careers as teachers or teaching assistants in head start, preschool, pre-K, or kindergarten settings. The curriculum includes courses on topics like children's creative experiences, children's literature and language development, and educating children with exceptional needs. Applicants must have a minimum GPA of 2.0 in their previous studies, whether in high school or previous college coursework. They must also submit COMPASS/ACCUPLACER scores in math, writing, and reading to be considered. WVUP offers an associate in applied science in child development program that can be completed either entirely online or in a blended format. Online courses are delivered asynchronously, allowing students to complete coursework at their own pace. All WVUP child development students must complete three in-person elements: a practicum, a “field experience,” and a proctored child development exam. This 60-credit program can be completed in just four semesters of full-time study. The curriculum includes major courses on topics such as guiding young children, infant and toddler development, and preschool development. Graduates are prepared to pursue careers as assistant or lead teachers in childcare, head start, or preschool settings. Students who earn their associate degree have the option of seamlessly joining WVUP's bachelor of applied science in child development without losing any credits. Grayson offers an online associate in child development program that does not include any in-person requirements. Online courses are delivered asynchronously through Canvas, allowing students to complete coursework at their own pace. Students can complete this 60-credit program in just two years of full-time study. Graduates are prepared to work in childcare settings or to continue their studies in child-focused occupational or physical therapist subjects. The curriculum includes courses on a variety of topics, such as child guidance, observation and analysis, and a culminating exam in their final semester. Applicants must have scored at least a 1070 on the SAT or a 23 on the ACT to be considered. Online students must also complete Grayson’s College 101 orientation class. All online students at Grayson also have access to academic advising services, which can be used to help choose courses. WOSC offers a variety of distance learning programs, including an associate in applied science degree in child development. This 60-credit program includes 27 credits of major coursework in areas subjects such socialization and support of young children, planning curriculum for young children, and effective planning. Students must also complete a capstone course as well as a internship or practicum in a childcare setting at the end of the program. Graduates are prepared to pursue careers as lead teachers in head start or childcare centers or as teacher assistants in the public school system. Online courses are delivered asynchronously through Moodle, allowing students to complete coursework at their own pace. Applicants must have scored at least a 21 on the ACT to be considered. The specific details of your child development curriculum depend on the program and school that you choose. For example, several schools allow you to choose a concentration, such as special education. However, all of the best online associate childhood development programs emphasize a few common concepts and skillsets. Below, you can find more information about the common curriculum for this degree. In general, an associate in child development teaches you how to create and implement age-appropriate curriculum to encourage creative, emotional, social, and verbal competence in children. You can also expect to learn the basics of cognitive and language-related development. Below are a few sample courses you can expect to take while earning this degree. Foundations of Child Development: This course prepares students for careers in education. Students learn the basic philosophies and practices in the field of child development. They also cover the cultural, social, and class-related factors that contribute to each child's individual development. The class examines how teachers utilize effective communication and management strategies in the classroom. Health, Safety, and Nutrition: Students in this class learn the best practices and theories for keeping children safe and healthy at school, as well as how to respond to children with special health concerns. These skills prepare graduates to work as both teachers and administrators, who are responsible for managing the health and safety policies in childhood education environments. Dynamics of the Family: Many cultural, social, class-related, and ethnic factors contribute to child development. This class prepares students to understand family systems and parenting styles in order be more effective educators who can communicate clearly and compassionately with parents. How Long Does it Take to get an Online Associate in Child Development? Several factors affect the length of time it takes to earn your online associate in childhood development. These include your enrollment status (i.e., part-time or full-time) and whether or not you enroll in summer classes. The time it takes to earn this degree also depends on a program's teaching style. For example, programs with cohort learning require students to begin and complete classes at the same time with a group of their peers. This format still relies on online coursework, but students often work together to complete classwork. They are also required to log in to “attend” class at specific times. Alternatively, individually-paced programs allow students to progress through the program at their own pace; these usually feature asynchronously taught classes. If you choose a full-time schedule, you can expect to complete a 60-credit online associate in child development program in about two years. While searching for online degrees in child development, you will most likely see programs referring to their accreditation status. Accreditation is a process of rigorous evaluation that determines whether or not a university complies with certain academic standards. Two different kinds of accreditation exist: regional and national. Regional accreditation is more widely known and respected, while national accreditation is less widespread and often awarded to career-focused or for-profit schools. You should look for a regionally-accredited online program. Additionally, online associate in child development programs are sometimes accredited by the Council for the Accreditation of Educator Preparation (CAEP) or the National Association for the Education of Young Children (NAEYC). The CAEP promotes quality and growth in preschool through 12th grade student learning, while the NAEYC is the primary source of accreditation for early childhood educator programs. Earning an online associate in child development can provide access to a multitude of employment opportunities. This degree is also an excellent professional development opportunity for individuals who already work in the fields of childcare or education. While an associate degree provides a valuable education, some individuals go on to earn a bachelor's or master's degree in order to boost their career opportunities. According to PayScale, individuals with a bachelor's degree generally earn $4,000 to $10,000 more each year compared to those with just an associate degree. Below is a list of common degrees that graduates with an associate degree in child development pursue. Bachelor's of Science in Early Childhood Education: A BS in early childhood education focuses on research, theories, and practices for educators working with children from birth to pre-K. Depending on the school or program, this degree can also prepare graduates to complete their licensure in kindergarten to third grade education. Bachelor's of Arts in Elementary Education: A BA in elementary education prepares students to earn their licensure in kindergarten through sixth grade education. Most programs require students to complete at least one semester of student teaching at a local school. Master's of Education in Early Childhood: This degree is designed for educators interested in exploring curriculum and instruction, pedagogy, advocacy, and policy. A master's in early childhood prepares students for careers as administrators, policymakers, and advanced educators. Most individuals who earn an online associate in childhood development work as teachers, assistants, and paraprofessionals in classroom environments. However, many students also pursue careers in administration, education policy and advocacy, and counseling. In general, successful early childhood teachers and professionals are highly patient, creative, and flexible individuals who are passionate about helping children. Professionals in this field should also have strong communication skills and an awareness of the cultural, social, racial, physical, and emotional factors that affect individual students. Preschool teachers typically teach beginning literacy and math, motor skills, and social skills to students between three and five years old. The preschool classroom involves a wide variety of play-related and problem-solving activities and prepares children to enter kindergarten. These professionals work in afterschool programs, daycare centers, and private households to care for children's basic needs, oversee play, and help with schoolwork. They may also organize social activities to keep children occupied while their parents work. These teachers work with kindergarten through high school students who have learning, emotional, physical, and/or other kinds of disabilities. Special education teachers often adapt standard lesson plans to better serve children with disabilities. Kindergarten teachers work in private and public schools, teaching basic literacy, math, and social skills to prepare children to enter first grade. These educators are communicate with parents about each child's progress. Social workers work in a variety of environments to support individuals with emotional, physical, and financial challenges. An associate degree in child development is helpful for professionals interested in social work focused on aiding families and young children. Your location, employer, and type of degree affect how much you earn in your child development-related career. Additionally, your level of experience influences your salary. The table below shows data for entry-level, mid-career, and late-career employees in five common roles held by graduates with degrees in child development. In order to fully understand your funding opportunities while pursuing an online associate in child development, be sure to fill out the Free Application for Federal Student Aid (FAFSA) form. Many students rely on scholarships, grants, loans, and work-study opportunities to help fund their degree. Additionally, there are specific scholarships available to child development and early education students, such as the Bright Horizons scholarship for individuals interested in pursuing early childhood education. Your university may also offer additional scholarships for child development-related degrees.